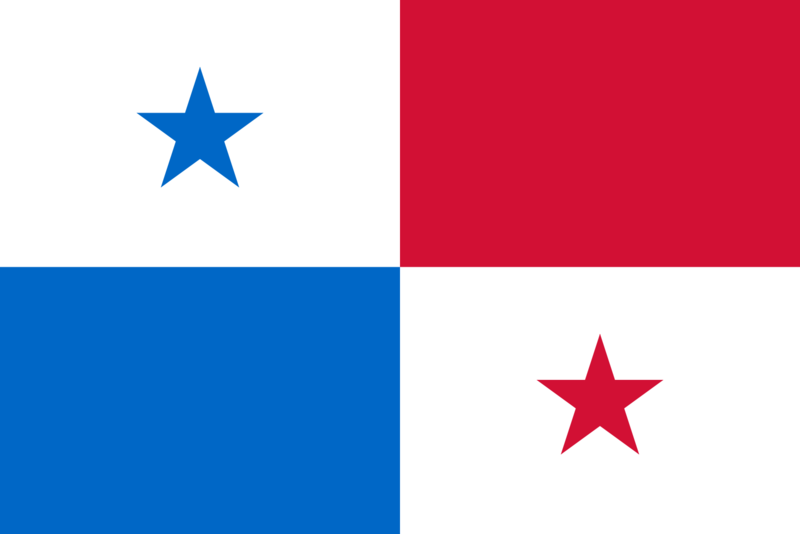 The flag of Panama was made by María de la Ossa de Amador and was officially adopted by the “ley 48 de 1925The Panamanian flag day is celebrated on November 4, one day after Panamanian separation from Colombia. The first flag proposed in 1903 consisted of thirteen horizontal stripes of alternating red and yellow, with a blue canton containing two golden suns, joined by a narrow line to depict the oceans to be united by the Panama Canal (see the depiction below). However, this was not accepted by the Panamanian leader, Manuel Amador Guerrero, whose family designed a new flag.